Integrated Bodywork ®. combination of Aromatherapy, Reiki Healing and Chinese Massage is the perfect all-rounder, says Emma Van Hinsbergh. What is it? This therapy claims to focus on your entire being by combining three powerful techniques: Aromatherapy, reiki and Tui Na - a vigorous type of traditional Chinese massage. ALTERNATIVELY; Fabric's guide to complementary treatments. 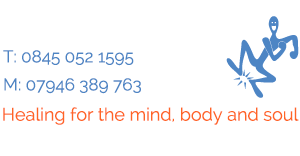 Sue Carberry, Integrated Bodywork ®. By Steven Short If a good masseuse knows exactly how hard to go without making you scream 'STOP, I CAN'T BEAR IT! ', Sue Carberry is an excellent masseuse.